This group started by Bluedharma is really getting great photographs, and members joining for the love of the Colorado Aviation Scene. We hope that everyone continues to contribute, and expand the groups base. If you live in Colorado let your friends and family know about this group. This group is for Aviation Photography in the Denver Metro area and Colorado State Region. Purpose is to show/share aviation photographs. 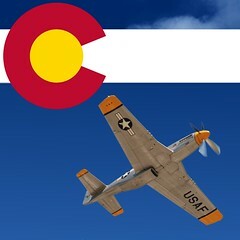 Share information on future Colorado Aviation events. And Ground - Ground shots are welcome. Biz Jet, war bird, and Colorado Museum pictures are also welcome as long as they are aviation related and in Colorado. If you are on Facebook.com, be sure to join the facebook group!